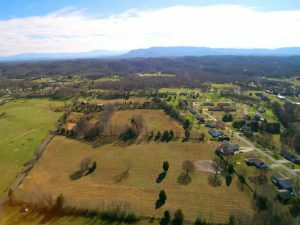 Located between Highways 66 and 441 on Highway 338, Boyd’s Creek, Tennessee is a community set amidst gentle rolling hills and the peaceful countryside of the Eastern Tennessee Valleys. 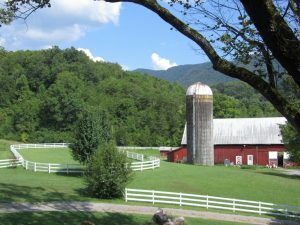 With its close proximity to the Great Smoky Mountains National Park, many recreational opportunities and amusements are offered within Boyd’s Creek and in the nearby cities of Sevierville, Pigeon Forge and Gatlinburg. Homeowners in Boyd’s Creek enjoy low Sevier County property taxes and the fine secondary schools run by the Sevier County School System. Boyd’s Creek has historic significance for being the only recorded location within the present day boundaries of Tennessee to host a Revolutionary War battle. The battle, known as the Battle of Boyd’s Creek, took place on December 16, 1780 against the Cherokee Indians who were, at the time, siding with the British. This famous battle took place near what is currently known as Rocky Springs. According to historical records, the Cherokee were angry with the white settlers for encroaching upon their plentiful hunting grounds. Among other historic areas near Boyd’s Creek, Sevier County, is the Historic Brabson’s Ferry Plantation. The settlement of Boyd’s Creek was officially recorded as being established in 1788. Boyd’s Creek is proud to be the location for the most upscale community in Sevier County Majestic Meadows. Home sites at Majestic Meadows average over one acre, and custom luxury estates grace the scenic landscape. Home sites are nestled among mature hardwood trees and atop rolling country hillsides while featuring all the latest in modern amenities and conveniences. Seymour, Tennessee is one of the fastest growth regions in the eastern section of Tennessee in Sevier County. The community of Seymour is outside of Sevierville and has more than 10,000 full-time residents. With its steady expansion, Seymour has the potential to be a wonderful location for new economic and residential growth. The community of Seymour is roughly 12.5 square miles and named after the railroad construction engineer D.G. Seymour. Seymour is located along Highway 338 within close proximity to Sevierville, Pigeon Forge and Gatlinburg. The community of Seymour provides residents with the feeling of spaciousness. The awe inspiring, 20-minute drive to the Great Smoky Mountains National Park may be part of this reason. The residents of Seymour are served by the Sevier County School System and have overall higher achievements in test scores than state and national averages. Seymour is proud to be home of the exclusive Bays Mountain Golf Course, providing golfers with a beautiful and peaceful 18-hole course that features high-end landscaping off the beaten path. Bays Mountain features a pro-shop, club house, swimming pool, tennis courts, live entertainment, rental cabins, and an inn. Another local golfing destination in Seymour is Creekside Plantation Golf Course, which is a 9-hole regulation public course with driving range. This charming southern community has a park-like setting that was once known as the State of Franklin, and Seymour was the proposed capitol. At the end of the Revolutionary War, the area known today as the Eastern Tennessee Valleys was territory belonging to North Carolina and was undergoing transitions in ownership. The existence of the proposed State of Franklin only lasted four short years, but it will live on in the history of Seymour. Homes for sale in this up and coming community range from modest and affordable single family homes, golf course homes, and sprawling estate homes on acreage with never-ending mountain views.